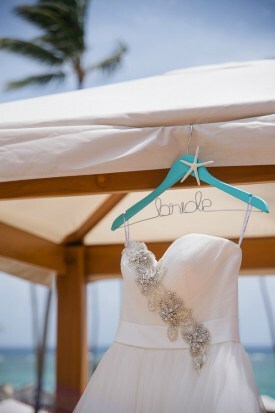 Searching for destination wedding dresses? Look no further, because I have tons of photos, tips, advice and ideas to help get you started. If you are planning a destination wedding, your dress may look anything but traditional. 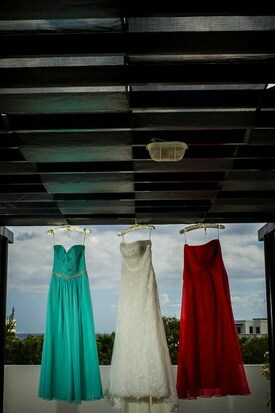 Choosing the best gown for your beachside ceremony can be an overwhelming task. Read on to learn seven helpful tips that will aid you, as you begin to search for your dream attire. 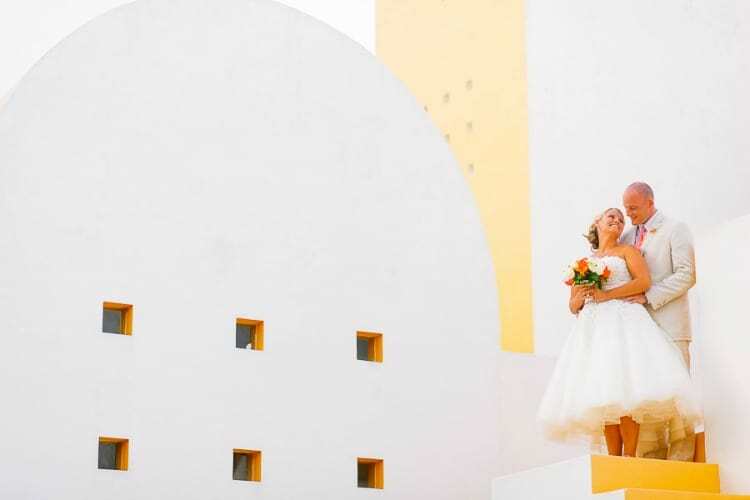 Scan through bridal magazines or one of this site’s photo galleries of destination wedding dresses (see thumbnails below) to learn which styles you are instantly drawn to. It may be traditional and white, or it may be colorful, short, and printed. Once you narrow down one style, you can show these images to your bridal consultant at the boutiques, or create a binder of looks to have by your side as you shop wedding retailer websites online. Some fabrics are better than others when it comes to destination wedding dresses. Keep in mind that you have to travel with your gown, as well as select a silhouette and length that will not trip you up on the beach, all while keeping you cool and calm in warm temperatures. 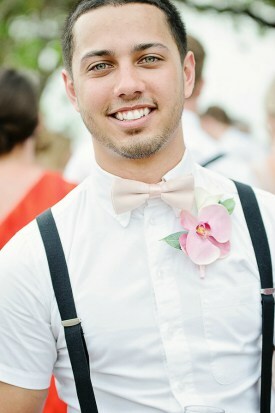 Strapless styles are a popular choice among brides-to-be. They like the fact that they do not feel weighed down with straps that can be intrusive, like halter top styles and boat neck cuts. Chiffon is also one of the most popular fabrics for destination wedding dresses. It is lightweight; it doesn’t wrinkle easily and doesn’t cling to the body. This fabric will keep you cool, sway in the ocean’s breeze, and be simple to steam after taking it out of your travel garment bag. If you have a specific budget in mind, stick to it! Give your bridal consultant a budget and ask them to only show you dresses in your price range. The last thing you want to do is fall in love with a spectacular gown that is way out of your budget. If you are shopping online, many websites allow you to define your search criteria not only by dress color and silhouette but price as well! Since you are traveling to your destination a few days prior to your big day, you need to communicate this important fact to your retailer/vendor. 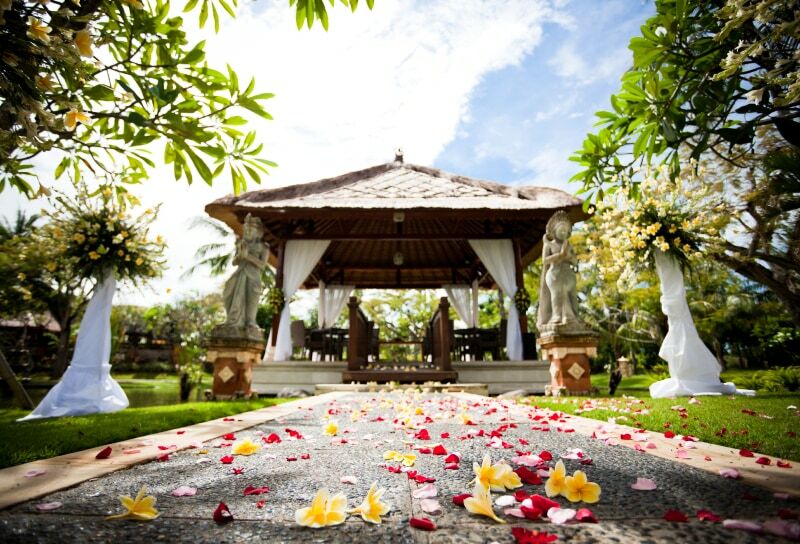 Always give your vendors your travel date, not your wedding day. This will ensure that you have your dress before you hop on a plane! 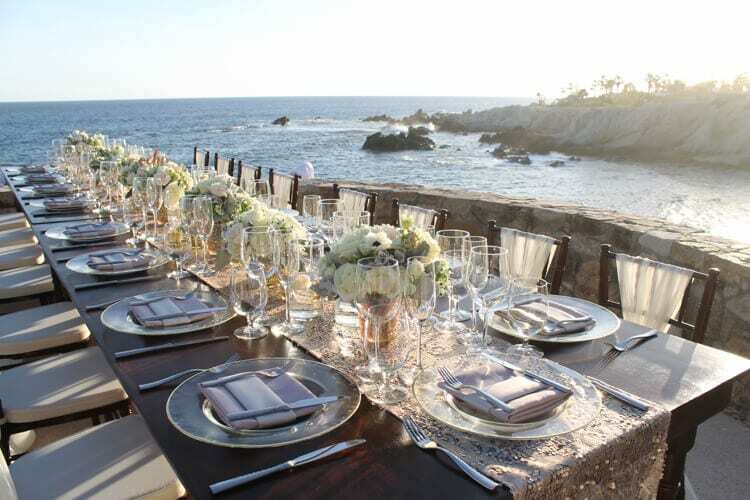 Click here for must-read tips on traveling with your destination wedding dress. If you are very traditional, there are many white destination wedding dresses in shorter styles to choose from. Consider selecting a gown that has shimmering embellishments like rhinestones so they sparkle in the sunlight. If you are non-traditional, you may wish to consider trying on a few dresses that have a playful print or are featured in a bright color that will stand out in the surf and turf setting. Selecting a chiffon gown in a short or tea length hemline is ideal because the dress will not drag and will be easy to walk in the sand (which can sometimes be difficult, dress or not!). Many brides begin tanning prior to their big day. You may want to do this for a number of reasons. Maybe you want a subtle glow as you saunter down your sandy aisle. Tanning will also help you develop a base tan so you don’t get burnt as you are exchanging vows on the beach under the intense rays. If you plan on soaking up some sun prior to your ceremony, be sure to wear a strapless bathing suit (and of course SPF) to avoid unsightly tan lines when wearing your gown! Don’t limit yourself to brick & mortar store searches. There are many online shops that boast beautiful, affordable, and interesting designer dresses. If you are on a tight budget, you can get your dream dress for less, as online websites’ prices reflect the dress only, not the overhead that you are responsible for paying for when shopping in a boutique. You also can take advantage of free shipping on most sites and can shop multiple sites in a matter of minutes. Save time, gas, and type in exactly what you want in the search criteria! Although there are benefits to buying online, I must warn that ordering your destination wedding dresses online can be a huge risk, so make sure you do your research to ensure you’re dealing with a legit merchant before you click to buy! Check out my complete guide to buying an authentic designer wedding dress online for half the price, without getting scammed. I really appreciated the insight you gave about buying the dress online. As you say there are a lot of options to still get the dream dress that you want, but at a price that fits your budget. I never thought about this option before for dress shopping, but I’ll definitely look into it so that my day is perfect! Thank you for sharing. By the following above ways, you will find your dream dress for your wedding.